Stevensville, MD- The owners and employees of Miltec UV rallied together to solicit donations, funds and support from the local community for the victims of the recent West Virginia floods. Several managers at Miltec UV have family located in Rainelle, WV who lost their homes and therefore, Miltec UV was directly impacted by this natural disaster. 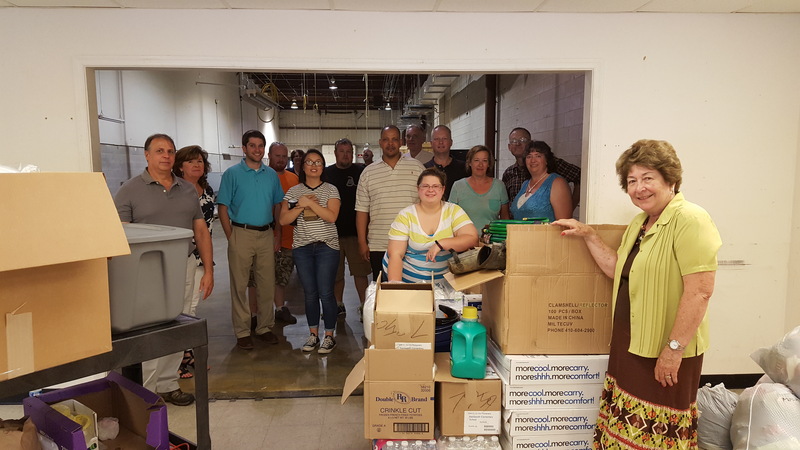 They felt compelled to help by gathering donations and becoming the donation center for the Chesapeake Bay Business Park in Stevensville, Maryland. Miltec UV was extremely pleased with the immediate outpouring of support from their neighbors. Over a two week period, Miltec UV gathered over 3 skids worth of donations. They were in communication with the Rainelle community and purchased supplies based on the needs of the devastated town. The immediate needs ranged from bleach and bottled water during the first few days to boots, fans, shovels, hoses, air mattresses, sheets, towels, toiletries, clothing and canned goods. In addition, Miltec UV reached out to local companies for discounts, and through the help of a local bank, they made contact with a Disaster Relief Church in Nashville, TN. The church committed to supplying 6 tractor trailers full of much needed supplies. Miltec UV has been servicing the UV industry for 26 Years and is a global leader and manufacturer of both arc and microwave ultraviolet curing systems. Miltec offers a wide range of quality UV parts, standard equipment and custom systems and services designed to interface with existing or new manufacturing production lines. These systems serve a broad diversity of industry-specific applications and market segments. Among the many applications supported are: optical fiber, wire, metal decorating, wood flooring, cabinets, automotive products and many other industries.